Gujarat Rajyni Primary School Ma Shikshan Ni Gunvatta Sudharva Mate Gunotsav Program Nu Aayojan Karvama Aave Chhe. Chalu Year Ma Gunotsav Ni Taiyari Mate School Kaksha Aethi Test Levama Aavel Chhe. January Month Nu Schedule Ahi Mukvama Aavel Chhe. Standard 3 thi 5 Ma Lekhan, Ganan Aad Vachan No Test Levano Raheshe. 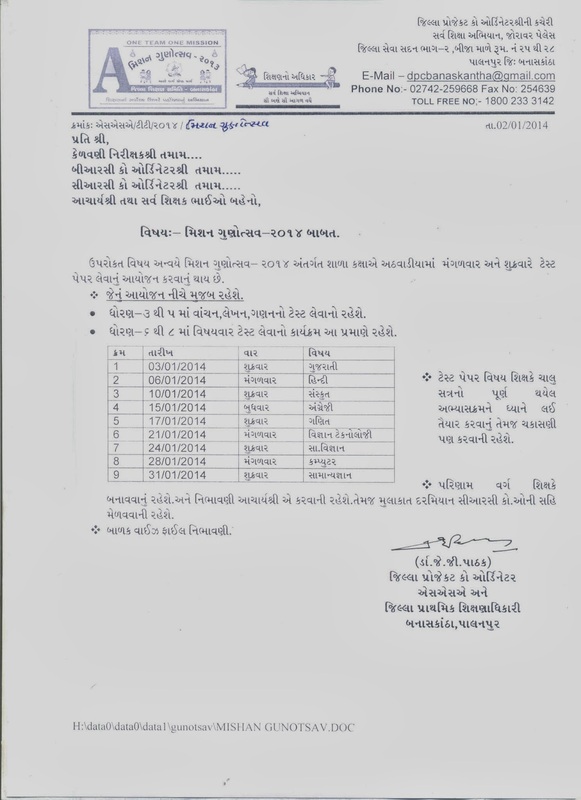 Jyare Standard 6 thi 8 Ma Subject Wise Upar Aapel Time Table Mujab Test Levano Raheshe. More Update Connect with Gujinfo.